The impetus for the Domestic Violence Awareness Town Hall was a restraining order against Rep. Cody Henson (R-Transylvania) that it took almost a year for his wife to get. 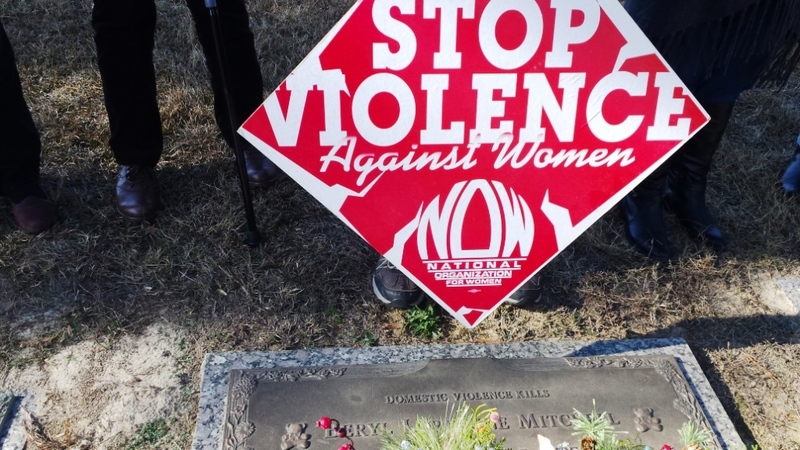 But this story was the tip of the iceberg as experts and victims talked about the realities of violence against women, domestic violence in North Carolina, how things are worse for victims in small towns, and victims in different communities (like the African American community). 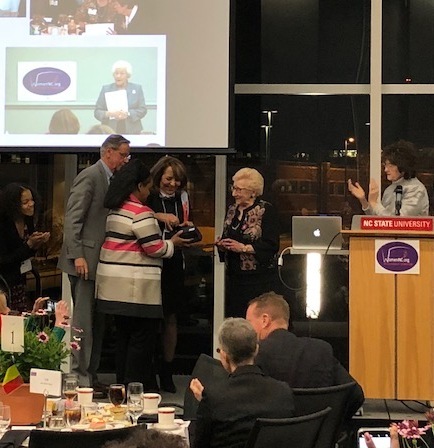 “Speakers emphasized the insidious nature of domestic violence as a crime that often goes unreported or unpunished and for which societal norms and laws often fail to remedy. 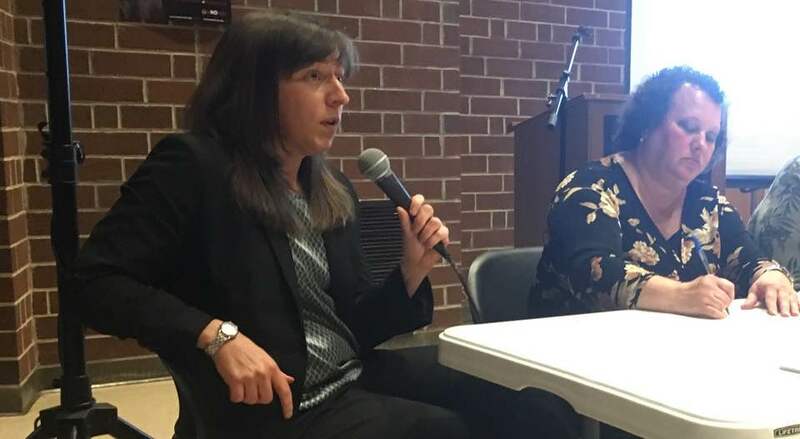 ” As reported by Carolina Public Press, in “Domestic violence in spotlight during forum on lawmaker’s home turf,” 2/19/19. Expert’s words really surprised many attendees who had no idea how bad things are in North Carolina. Survivor stories were shocking and heartbreaking. NC NOW (National Organization for Women), SAFE Transylvania, and Progress NC have come together to bring community awareness to this very real problem. Brevard, NC – Domestic violence is a serious issue in the US and in North Carolina. When our public figures are accused of domestic violence (DV), we can use the opportunity to widen awareness of what DV victims face, and how it impacts victims in rural areas differently. Getting help is complicated when the alleged abuser is a public figure. It took nearly a year for the wife of an elected official to get a restraining order against her husband in Western North Carolina. Rep. Cody Henson (R-Transylvania) was served with a 50B Ex Parte Domestic Violence Order of Protection on Jan. 31 , 2019. The situation is being revealed so far in news articles in Transylvania County and Buncombe County. The issue of domestic violence is being explored in public forums, which are currently planned for February and March of 2019. On 2/7/19, The Carolina Public Press published that an “NC legislator served with domestic violence order of protection,” 2/7/19, Carolina Public Press. How Trump Administration changes to the Affordable Care Act (ACA) and to Title X will hurt women, by NC NOW President Gailya Paliga. Here are 3 things people may not realize about women and health insurance. The ACA stopped insurance companies from cheating women (and seniors). It also forced coverage of people with preexisting conditions (like pregnancy)!! The repeal of the individual mandate Trump did in December of 2017 will cause premiums to go up beyond the reach of many women, taking away their ability to afford good insurance. Trump allowing junk insurance plans only makes more healthy people leave ACA, further causing prices to rise. 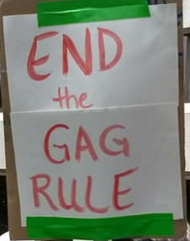 Trump’s new gag rule undercuts the purpose of Title X, the federal family planning program, and will cause women’s clinics to close all over the country, taking away the only medical options left for many young, rural and low income women. Speech by NC NOW President Gailya Paliga, at the 5/22/18 Tuesdays With Tillis event, which was organized by NC NOW, Naral Pro-choice NC and the Tuesdays With Tillis group. Topics were Crisis Pregnancy Centers, presented by Tara Romano, Executive Director of Naral Pro-choice NC and the Trump Administration’s latest attack on family planning, women and Planned Parenthood, by Gailya Paliga. 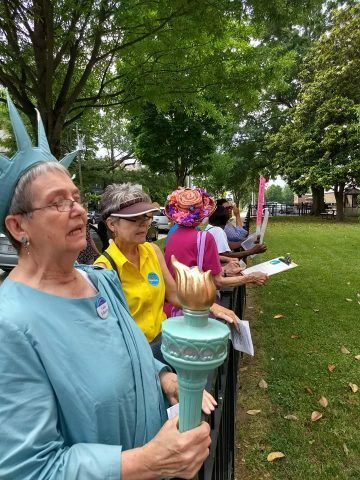 President Trump’s policies and Congress have had a disastrous affect on women and families in North Carolina, the United States and the world. 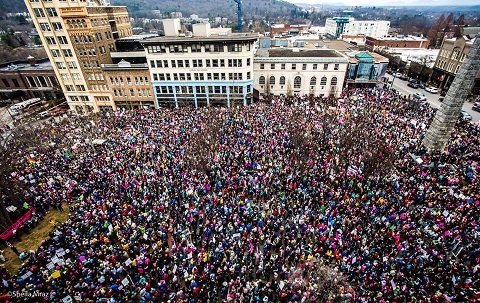 On Tuesday April 10 at 11:30 am, members and supporters of NC NOW (National Organization of Women), NARAL Pro-Choice North Carolina, El Pueblo, and Population Connection join Tuesdays with Tillis Indivisible ask that Senator Tillis respond with legislative support to remedy the repressive policies which cost women their lives. Join us as we concentrate on reproductive care and reproductive justice policies at the federal level. Do you know there is a US policy which cuts off all US health funding for other countries as America tries to control other countries’ reproductive care? It’s the Global Gag Rule, which President Trump instated and massively expanded in January 2017. And Congress renews the heinous Hyde Amendment every year! 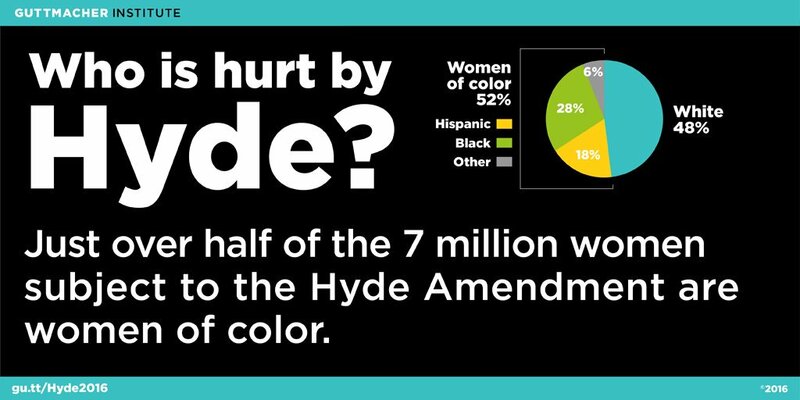 The Hyde Amendment prohibits low income women, federal employees and their dependents and others from using their own insurance or Medicaid to cover abortions. This means Congress targets a range of women from getting a specific medical procedure via the Hyde Amendment – and has done so every year since 1976. “The Hyde Amendment is nothing more than playing politics with the lives of those who traditionally have lacked access to quality, affordable care, such as poor women, rural communities and young people,” said Tara Romano, Executive Director of NARAL Pro-Choice North Carolina.